This week I tried to get a little time in working on potential compositions for my flying cat vs giant robot idea (see part I here). I did about 20 thumbnail sketches trying to get a feel for how these two characters will be fighting. 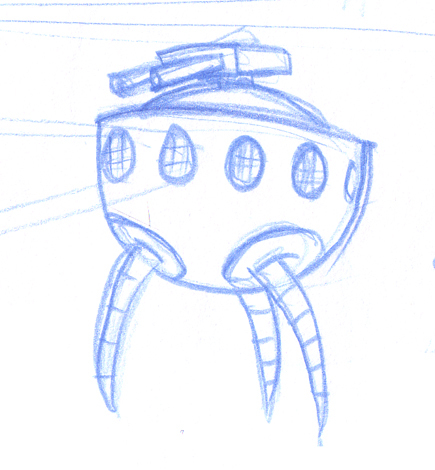 There some new ideas floating around…maybe the flying cat is the leader of the robots. 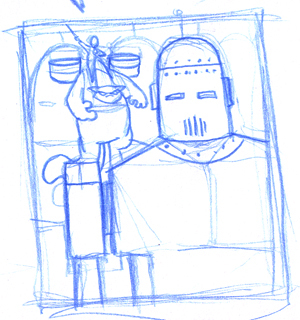 Most of the thumbnails are too light to scan properly, and there isn’t much to see. They’re done very quickly just to play with ideas, to see if anything spurs another idea. I realized I still had a lot of questions to ask myself before moving forward. It’s easier when you have a story to follow, the scene is set, the good side is established…without those guidelines, I find I have new ideas popping into my head with every sketch. 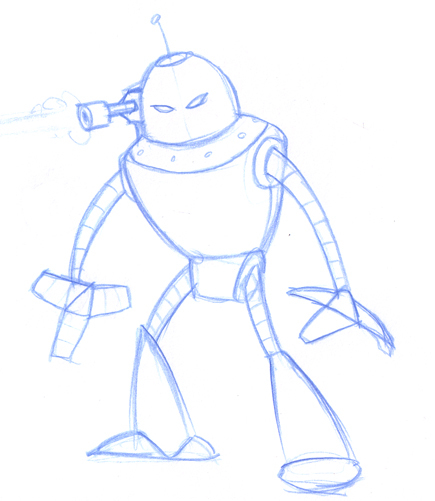 A lot of those ideas will revolve around the robot. Is it the bad ‘guy’? Should it be realistic? cartoony? does it look like a human figure? 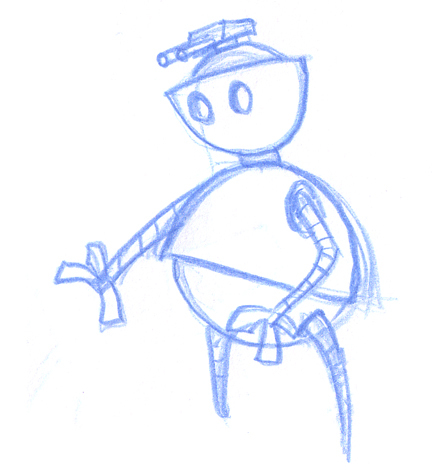 I did quite a few quick sketches of robot figures as well, most of them were not much more than what you see in the thumbnail sketches. 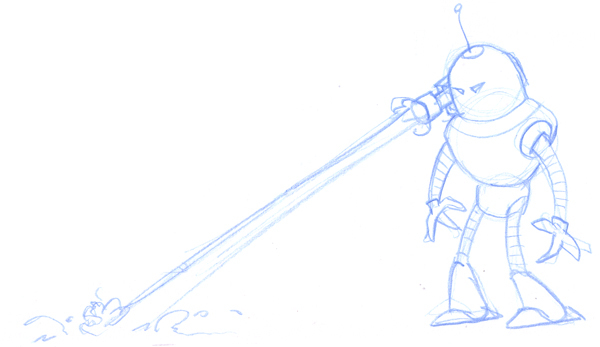 On the subject of thumbnail sketches, the above robot drawing is actually only a 2 inch high sketch, I enlarged it for the blog.